We understand that taking the first step on a new path can be a bit daunting, which is why we offer an initial discovery meeting with one of our advisory team, free of charge. So call us on 0800 864 164 or leave your details and we will arrange a discovery meeting where we will begin to explore the opportunity to work together, to help you achieve your financial goals. Open 8.30am – 5pm, closed on weekends and public holidays. 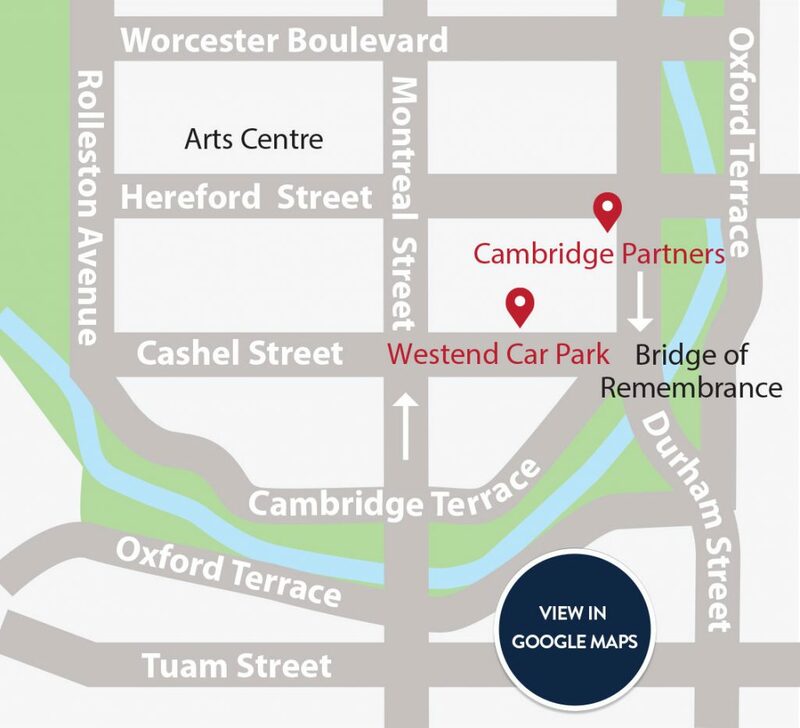 Our Cambridge Partners client parking is on level 2B and our car park numbers are number 7, 8 and 9, which are on the left hand side right before the ramp that takes you to level 3. Prior to entering the car park at the arms you will need to take a ticket, then bring this ticket with you and we will validate it, so when you exit the car park there will be no cost.